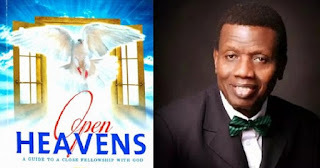 Open Heaven 15 April 2019 Prayer Points on Today – When Weeping Does Not Work - Open Heavens Daily Devotional Messages, By Pastor E.A Adeboye. 1. Thank God for the revelation power of the Holy Spirit. In Jesus name. 2. Oh Lord, forgive me for every false motive or thought that has ever been formed in my heart since the day I was born. In Jesus name. 3. 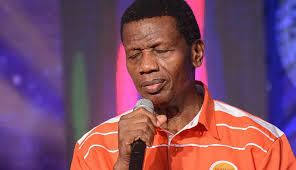 Oh Lord forgive me for any lie that I have ever told against any person, system or church. In Jesus name. 4. Oh Lord open my spiritual understanding. In Jesus name. 5. Oh Lord, teach me deep and secret things. In Jesus name. 6. I refuse to fall under the manipulation of the spirits of confusion. In Jesus name. 7. Oh Lord teach me to know that which is worth knowing and love that which is worth loving, and to dislike whatsoever is not pleasing into you. In Jesus name. 8. O God, you who reveals secret things, make known unto me your choice for me on this issue. In Jesus name. 9. Holy Spirit, open my eyes and help me to make right decisions. In Jesus name. 10. I refuse to make foundational mistakes in my decision making. In Jesus name. 11. I stand against all satanic attachments that may seek to confuse my decision. In Jesus name. 12. Father Lord, I thank you for the testimonies that will follow these prayer points. In Jesus name.